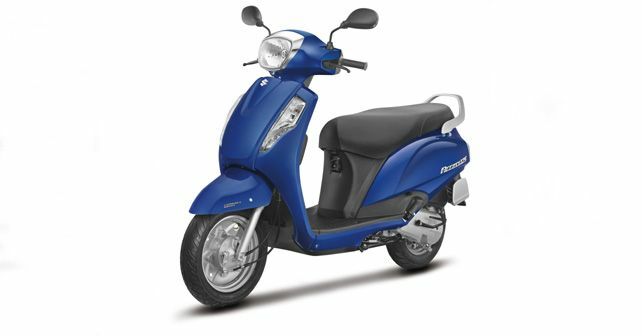 With the Access 125's drum brake version getting CBS, Suzuki's entire scooter range in India now gets CBS as standard fitment. After giving the same update to the scooter's disc-brake variant in June 2018, Suzuki Motorcycle India Private Limited (SMIPL) has now introduced CBS (Combined Braking System) on the drum brake version of the Access 125. While the standard version costs ₹ 55,977, the CBS-equipped drum-brake variant has been priced at ₹ 56,667 (All prices Ex-showroom, Delhi). The CBS works by letting riders use the braking force of both the front and rear brakes with the help of a single lever. Aimed at enhancing the safety of novice riders, CBS provides a good balance between front and rear brake forces and helps avoid 'skid & slip' scenarios, caused by the application of excess force on either of the brakes (a common issue with drum brakes).